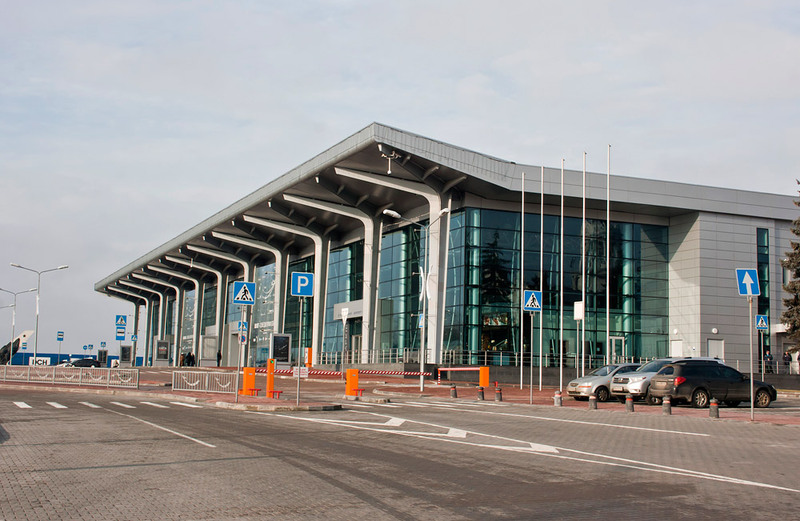 Airport “Kharkiv” is considered to be the largest and the most modern air gates in eastern Ukraine. Its managing company is “New Systems AM” LLC. Airport infrastructure consists of a new runway, new apron, new terminal, VIP terminal, hangar as well as cargo terminal. Passenger terminal building with its area of 20 000 sq.m. was put into service in 2010. Capacity of this new unit amounts to 650 passengers per hour. Departure and arrival areas of both domestic and international flights are located in the building. It allows serving passengers within the concept “under one roof” and ensures transfer of passengers from one flight to another within one terminal. This complex is equipped with two gates at the area of domestic routes and four boarding gates at the area of international flights, including two telescopic passenger boarding bridges. Project provides installation of the third passenger boarding bridge in case of necessity. There are 18 check-in desks for handling passengers of domestic and international airlines at the registration hall. Aviation security control is provided by 5 control lines in the departure area for international flights and three control lines are located in the departure area for domestic flights. VIP-terminal is located in the reconstructed historical building which was put into service in 1955. Its capacity amounts to 250 passengers per hour. Business-aviation flights are serviced in this building. Well-known “Polet” restaurant is located there. “Polet” has been working at the airport terminal since its opening in the 50th. Aviation hangar was built during preparations for Euro-2012. This building is 5182 sq.m. in area and has three sections. Each section can be used for storing aircrafts or carrying out technical maintenance С-check and D-check of aircrafts Boeing 737 and Airbus A320 type. 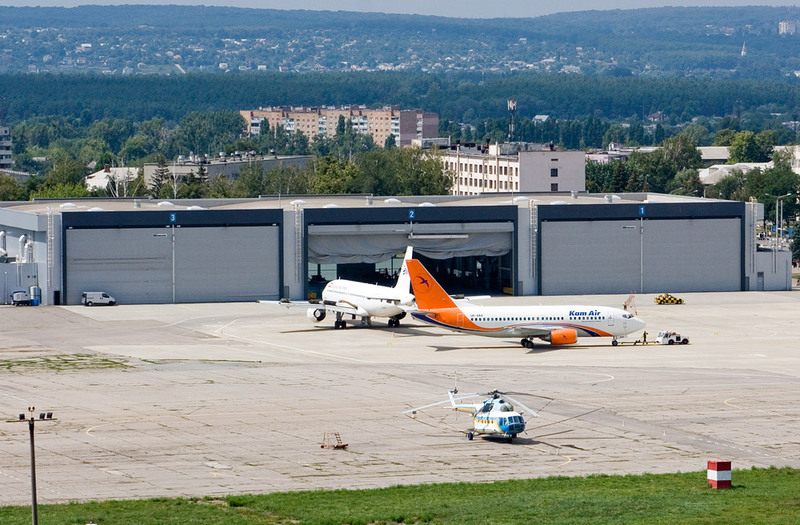 Cargo terminal for cargo maintenance and custom processing has been working at the airport “Kharkiv” since 2014. Building area amounts to 1 100 sq.m. This complex is equipped with all necessary equipment for processing 10 tons of cargo per hour in accordance with European Safety Standards. 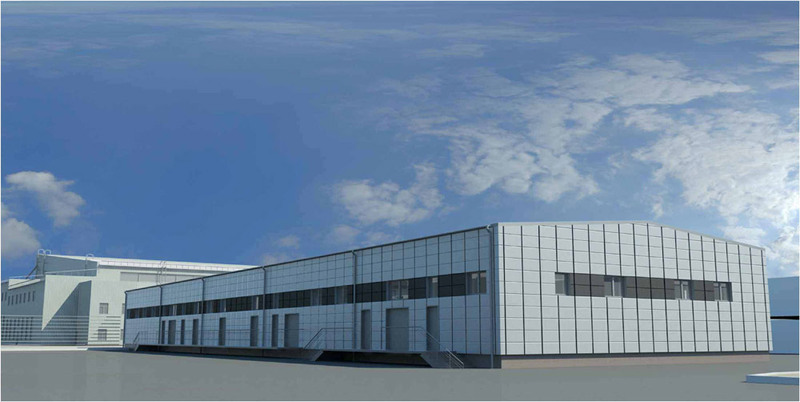 This building includes: customs surveillance zone, space for storing cargo including special space for storing perishable and dangerous cargo. 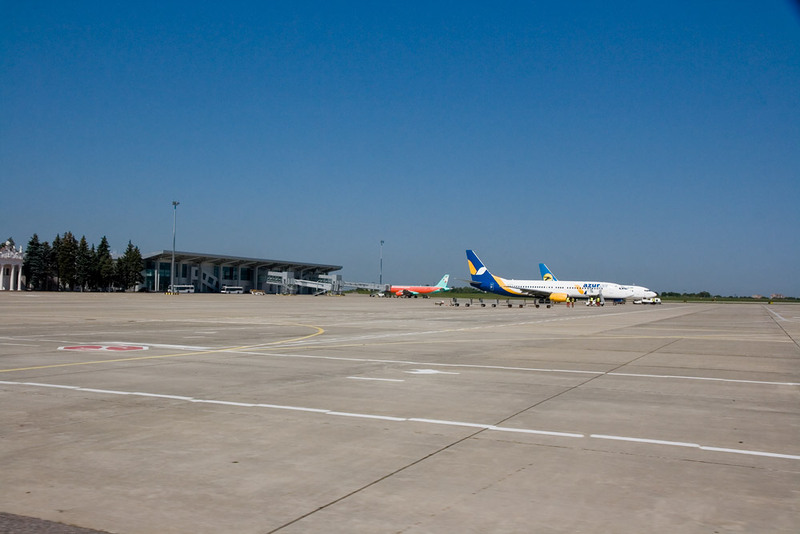 New runway with concrete surface was built in November 2011. It is 2 500 meters in length and 45 meters in width. Direction: 07/25, PCN: 52. Runway can accept aircrafts of 4C category (Boeing 737-900, Airbus A321-200, MD-90) and airplanes of lower class without limitations. 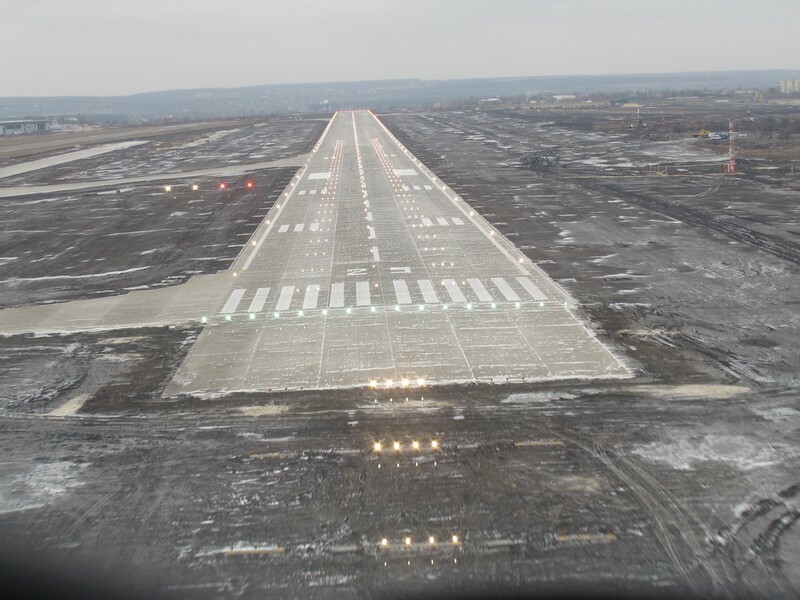 Upon agreement between the State Aviation Service of Ukraine and airline company, this runway can accept aircrafts of 4D (Boeing 757, Boeing 767, Airbus A300, A310, Ил-76), 4Е (Boeing 747, Boeing 777, Airbus A330, Airbus A340), 4F (Ан-124) categories with limitations. The runway is equipped with ILS (instrument landing system) equipment, which allows carrying out flights according to CAT II ICAO with vertical visibility no less than 34 meters with both directions for landing. Apron К-20 МС: Aircrafts of 4C category and lower can be handled without limitations. Placement of aircrafts of 4D, 4E categories is possible with limitations. Apron L-3 МС: Aircrafts of 4C category and lower are handled without any limitations. Apron Е-2 МС: Aircrafts of 4C category and lower are handled without any limitations. Placement of aircrafts of 4D, 4E, 4F categories is possible with limitations. If necessary, other parking points are opened.